Woo Hooo! 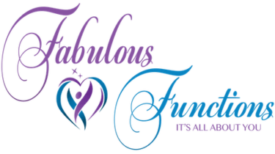 We are doing our happy dance to see Fabulous Functions UK in the media. 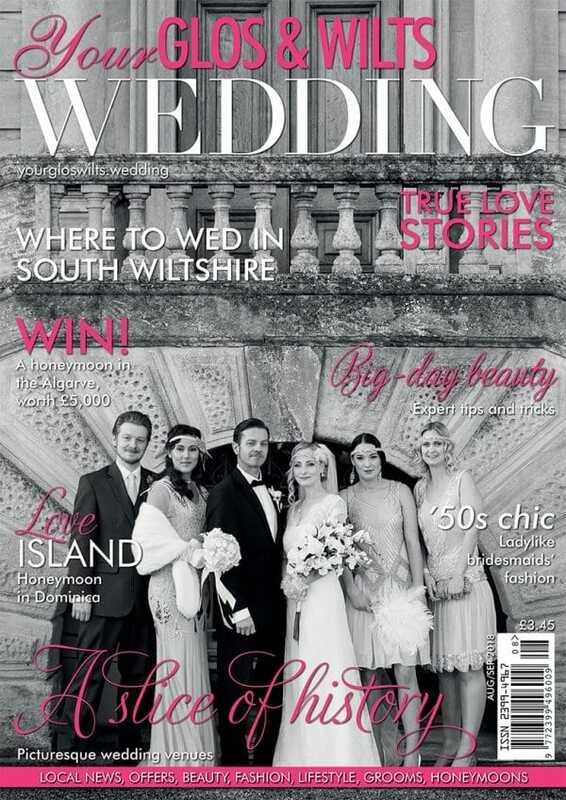 Wedding fairs are one way – and a good one – to give prospective brides and grooms a sense of what you can offer them. Yet, as we’ve learned from experience, a far more effective one is that of collaboration. 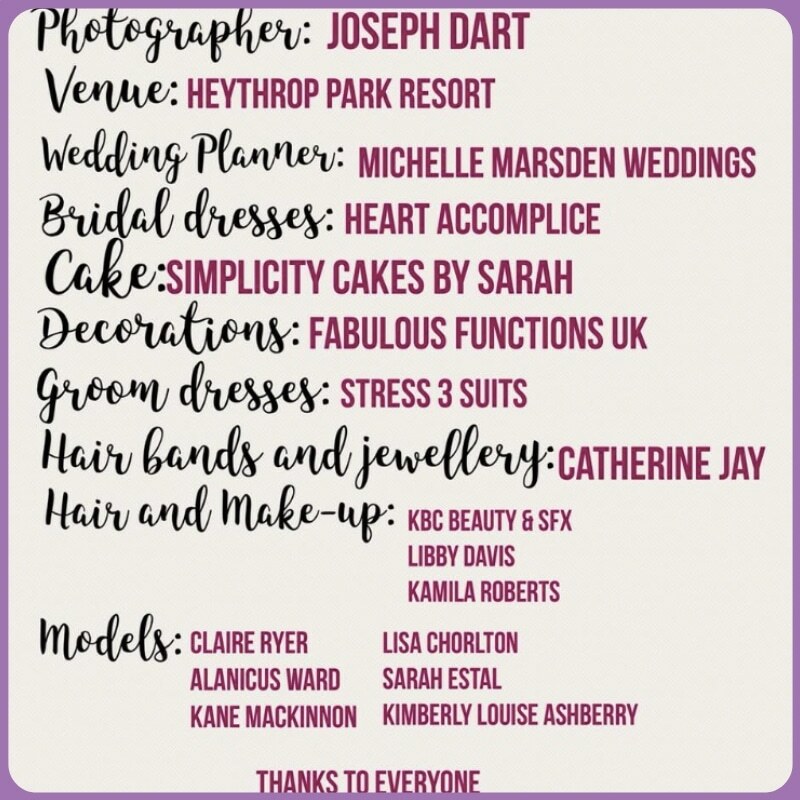 Working together, with complementary wedding services, cake makers, videographers, photographers and more, to show to full effect how fabulous we can make a venue look. We set the stage, pop the flashbulbs and all concerned parties social the heck out of it to show the world what we can do. Even better than that though, is getting media coverage of our collaborative events. And this season, we at Fabulous Functions UK are celebrating one such collaborative photo shoot making it to the centre pages of Your Glocs & Wilts Wedding. 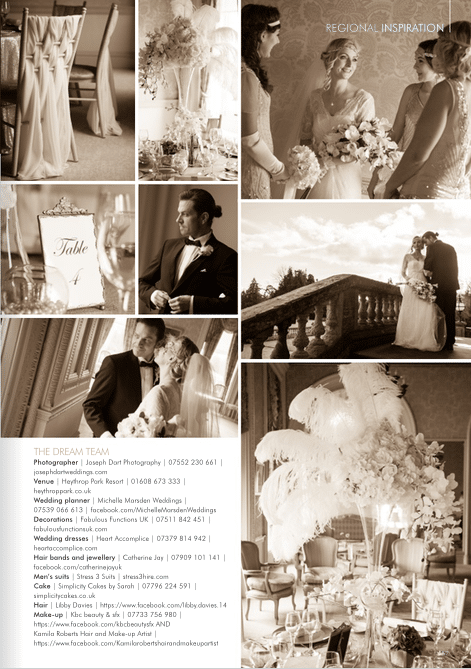 The photoshoot that the magazine used in its feature ‘A Timeless Affair’ took place at Heythrop Park Resort, on the edge of the Cotswolds. Now a Crowne Plaza hotel, Heythrop Manor is an 18th century manor house. Built in the 1700s and set in a chocolate-box-English landscape, this historic, Grade II listed estate presented the perfect location to stage a vintage-style wedding. The theme of this photoshoot then was a vintage one. 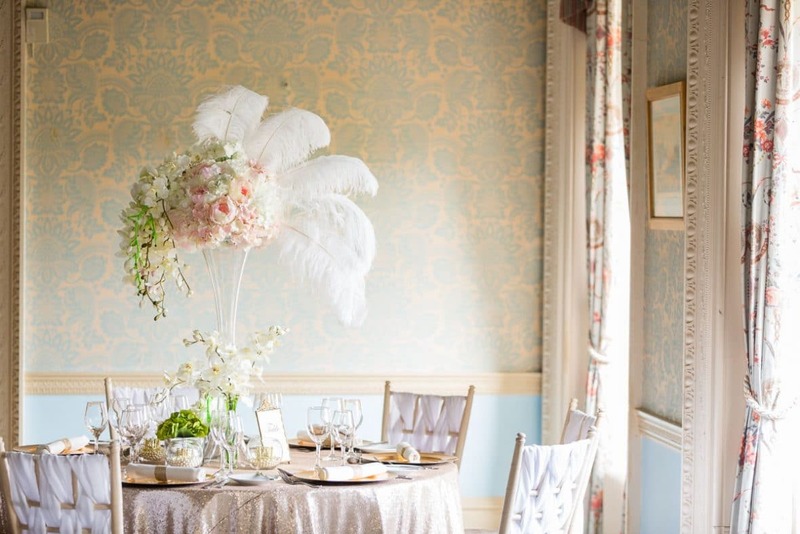 So think broadly channelling the Great Gatsby with vintage-style props but with subtle pops and touches to give the styling a 21st century twist. The sepia photography is fitting for such a theme but of course it doesn’t show the subtle tones of the fans. Nor does it let you see how effective is the neon green wrap around the stems of the orchid. We’ve therefore included some colour photographs lower down to demonstrate. Everything you see in the pictures, that comes under the heading of Decorations and wedding flowers was our work. 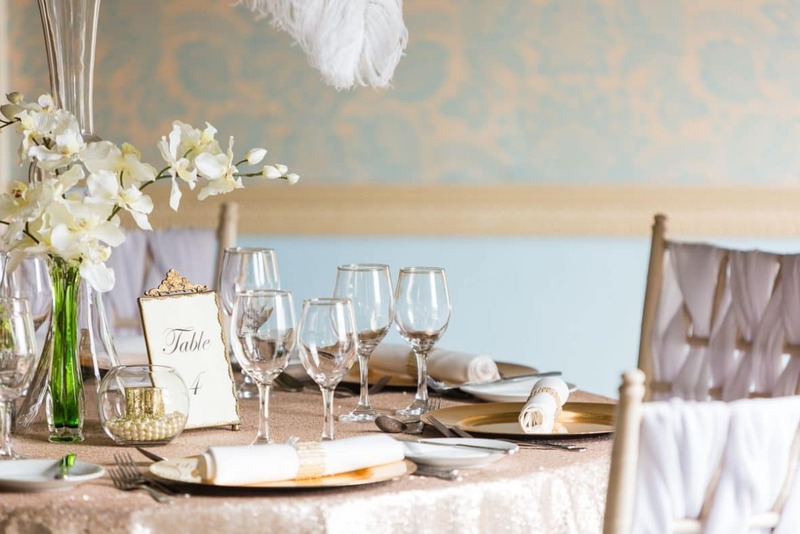 In this image and the one below you can see the table is dressed with our sequinned table linen in a subtle and sophisticated Champagne shade. Note the shots of bright green giving a contemporary flavour to a quintessentially vintage style. We had great fun working with all the suppliers involved in staging this photoshoot. It was hard work, but of course we all think the end result was well worth all that effort. We hope you think so too. Collaboration is key to success. 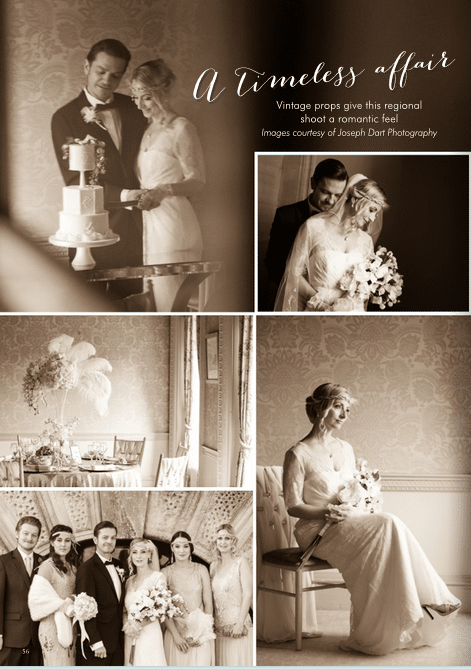 We were one of a fabulous team of wedding experts weaving our magic wands to create these inspirational images for you. The Dream Team who collaborated with me on this fabulous project are listed below. 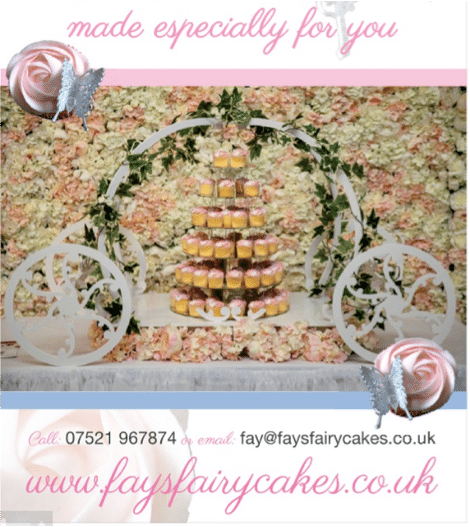 In the same magazine is this advert for Fay’s Fairy Cakes. The sgorgeous background you see, setting off Fay’s baked goods to perfection, is our fabulous, show-stopping flower wall. 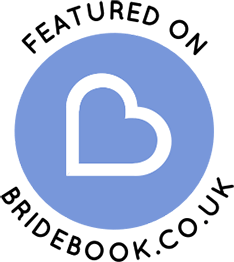 And if you want to see more of our work follow us on Instagram and Facebook. Or pop into one of the wedding shows where we will be exhibiting, follow the link to our Fabulous Functions UK page to find out where you can see us. A Shake-Up in the Marriage Law?